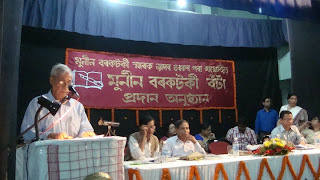 the personal high point was my first ever public speech in Assamese -- I had taken Upen Khura's help to write it down and had tried to rehearse it once, but the whole things was forgotten in a flurry of other activity till moments before I had to actually speak. Thankfully I found my sheet of paper on time and somehow managed to do my job. 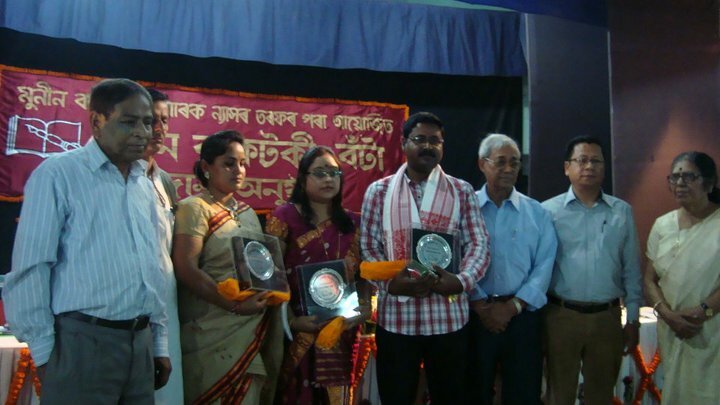 The occasion was the release of the book titled 'Winners All' comprising English translations of select pieces from the Prize winning entries of the first ten years (1995-2004). 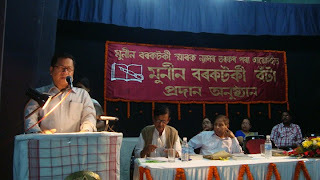 Pradip Acharya, the editor, had translated the poems and I had done the prose. 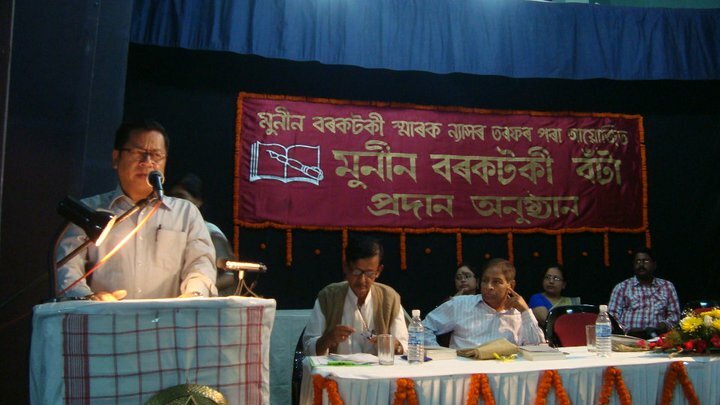 Since Pradipda could not be present at the meeting, I had to speak. Another book in English titled 'Pensive Pioneers' edited by Dr. Sivanath Barman containing biographical sketches of some of the foremost Assamese men of letters was also released at the meeting. The meeting also helped me to see more clearly a few facts -- first that the Munin Barkotoki Award has become widely known and established over the years and that it had moved out from being just a private initiative of the Trust to achieving a much wider level of acceptance and recognition. It was very gratifying indeed to see, besides many of our well-wishers and friends, so many distinguished Assamese men of letters, turning up for the meeting and happily sitting through the two-hour long meeting. 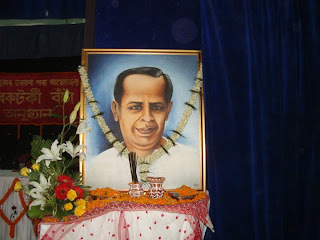 And I felt very happy that Baba is not forgotten, at least till today. The next very happy realisation was the fact that I still had very many friends -- amazing people who had gone out of the way to help me get this meeting right, and shown once again that they still care. To balance these two very happy thoughts was the rather unhappy realisation that Ma was getting rather old -- she had done everything that was required of her for yesterday's meet but it was hard for her to cope with the pressure. I'll have to find a way to manage things without burdening her too much in the years to come.